When Thomas Hastings arrived in America in 1634 he immediately settled in the village of Watertown, Massachusetts Bay Colony. Aside from property owned in nearby Dedham (which he sold because of residency requirements), his life revolved around Watertown. In the 18th century Waltham was carved out of Watertown as an independent town. 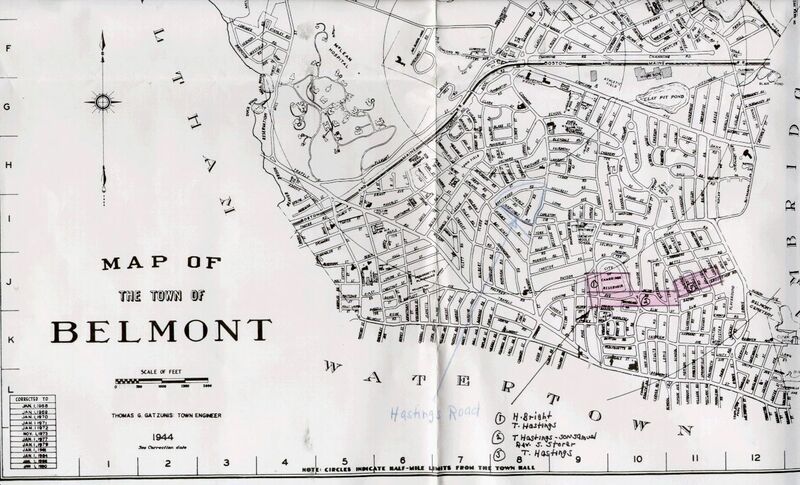 In the 19th Century, the town of Belmont was formed from another part of ancient Watertown. The Hastings properties (highlighted) now fall within the boundaries of Belmont. The map below shows where in Belmont these properties are located. The map dates from 1944 but remains accurate enough to locate the Hastings sites. There are three sites of interest. They are bisected by School Street (two West, one to the East). Much of site 1 is now covered by the City of Cambridge Reservoir (an easy to find landmark). Annotated by Richard B. Betts, author, former Belmont Town Historian and today an honorary member of the Belmont Historical Society board. Parcels 1-3 in 21st century via Google Maps. 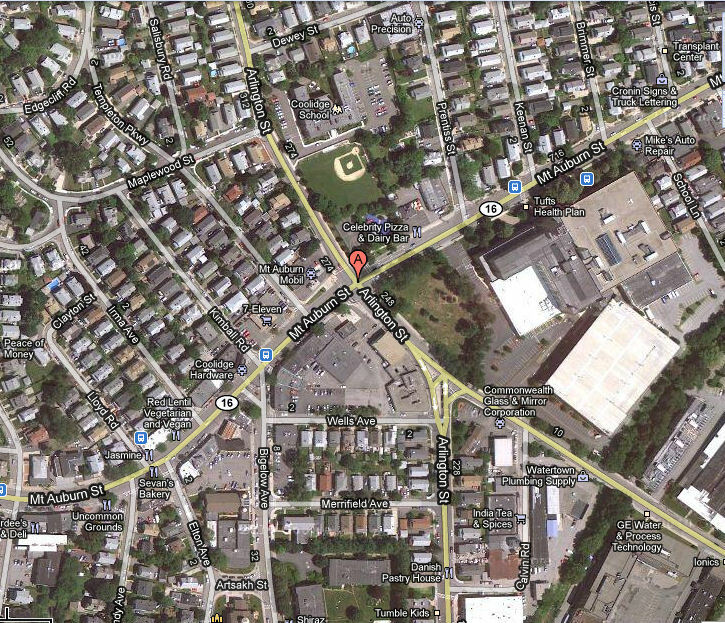 Slice of central (original) Watertown in 21st century via Google Maps. “A” marks NW corner of Old Burying Ground. What you can do to preserve the Hastings sites in New England!